We demonstrate using multi-layered networks, the existence of an empirical linkage between the dynamics of the financial network constructed from the market indices and the macroeconomic networks constructed from macroeconomic variables such as trade, foreign direct investments, etc. for several countries across the globe. The temporal scales of the dynamics of the financial variables and the macroeconomic fundamentals are very different, which make the empirical linkage even more interesting and significant. Also, we find that there exist in the respective networks, core-periphery structures (determined through centrality measures) that are composed of similar set of countries—a result that may be related through the ‘gravity model’ of the country-level macroeconomic networks. Thus, from a multi-lateral openness perspective, we elucidate that for individual countries, larger trade connectivity is positively associated with higher financial return correlations. Furthermore, we show that the Economic Complexity Index and the equity markets have a positive relationship among themselves, as is the case for Gross Domestic Product. 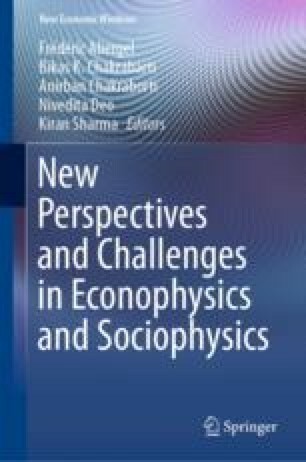 The data science methodology using network theory, coupled with standard econometric techniques constitute a new approach to studying multi-level economic phenomena in a comprehensive manner. ASC acknowledges the support by the institute grant (R&P), IIM Ahmedabad. AC and KS acknowledge the support by grant number BT/BI/03/004/2003(C) of Govt. of India, Ministry of Science and Technology, Department of Biotechnology, Bioinformatics division, DST-PURSE of the Jawaharlal Nehru University, and University of Potential Excellence-II grant (Project ID-47) of the Jawaharlal Nehru University, New Delhi. KS acknowledges the University Grants Commission (Ministry of Human Resource Development, Govt. of India) for her senior research fellowship.